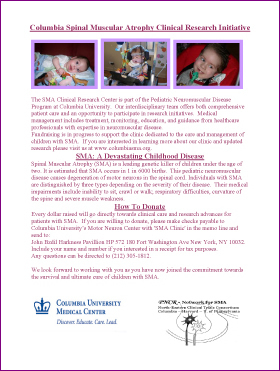 Join our SMA mailing initiative by printing the two forms below and sending them to companies or individuals who you think would be willing to donate to SMA. 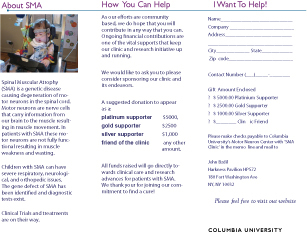 Print a copy of the letter and brochure (below) and mail. 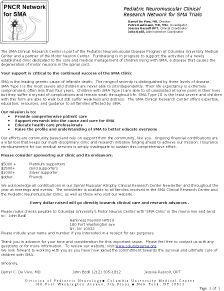 Please feel free to include a personal story about how SMA has affected your life and why research is so important.